Do you have tattoos? Do you have a beard? This episode we bring an officer form a department in Texas that allows him to have tattoos and a beard. We talk about how it has effected his interactions with his community and how it has helped him. ADMIN IF YOU ARE LISTENING THIS IS THE WAVE OF THE FUTURE! We want to thank our sponsor Pursuit Alert! 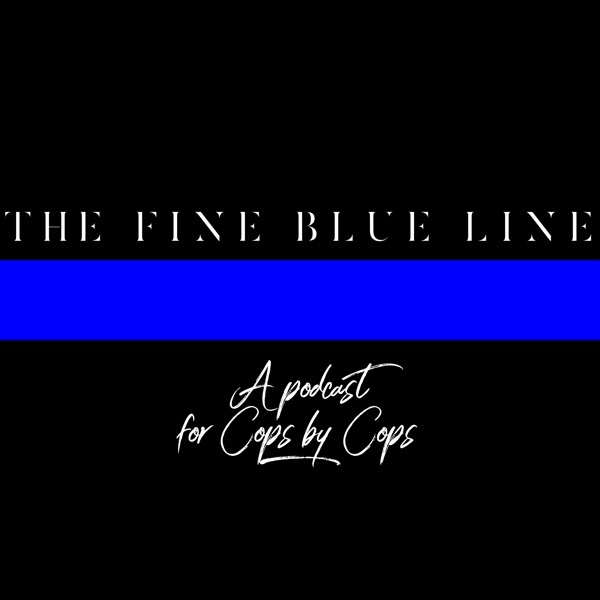 We can be reached here at the podcast at rob@finebluelinepodcast.com or through our web page! In this interview we will discuss the 5 Stress Triggers with out amazing guest Andi Clark from 911 Lifestyle. Shift work and the life of a Police Officer is not easy. Many of us struggle to fall asleep because we are tired and wired, wake mid sleep, we are exhausted to the point that coffee is the only way to make it through our shift, we become frustrated easier than we were at the start of our career, have digestive issues and fear burnout. It's happening to most of us, so we believe that this is the norm. Andi Clark from 911 Lifestyle has dedicated her life to help Law Enforcement and other First Responders reverse their burnout, so they can thrive in a career that they love without overwhelm, prescriptions or stimulants. In this podcast we go deep into why burnout is common for us in Law Enforcement, how it's not your fault and what you can do to reverse it. You won't want to miss this one. You can find Andi on Facebook and other social media accounts through her web page. Thank you again to our amazing sponsor Pursuit Alert. In this episode we will talk with Jason Johnson the founder of Project K-9 Hero. Jason also owns a K-9 company that is getting ready to deploy. Did you know that military and law enforcement K-9's are not covered for any expenses after they retire and are adopted by their handler. The dog owner is responsible for all food and care. Jason spend time in the military and as a police officer. During his time as a police officer he had a K-9 Flash. Jason later left law enforcement and worked for Blackwater in Iraq and Afghanistan. Jason returned home and adopted Flash. Together Jason and Flash have started a non-profit to assist retired working dogs with vet bills. Jason wrote a book staring Flash the book is called K-9 Flash Becomes a Hero. Check Jason out on Facebook or his website. We want to thank our sponsor Pursuit Alert. In this episode we had Loren Culp on from the Republic Police Department. Loren is the Chief of Police and came out against an assault weapons initiative that was passed by the citizens. This forced Chief Culp into the spotlight in the state of Washington and nationally with appearances on Fox News and other major news outlets. Chief Culp then wrote a book American Cop. Chief Culp maintains a Facebook Page Friends of Republic Police. You can see Chief Culp at the Gun and Knife show website. We want to again thank our great sponsor Pursuit Alert. Pursuit Alert is looking for regional sales people if you are interested let me know. In this episode Ken Morgan who has worked as a patrol officer all the way up to Deputy Chief will discuss life outside Law Enforcement. Ken has worked in Michigan, Colorado and Washington State. Ken currently works as a part-time deputy and works for Pursuit Alert which is a newer company that alerts citizens of a pursuit in their area to avoid collisions with citizens during pursuits. Ken does a great job in this episode we had a small technical problem that you will hear for a short time during the episode with an echo. I apologize for that we were unaware at the time of recording. Click Pursuit Alert for more information. Are you prepared if you get hurt to provide for your family? What about life after Law Enforcement? Set yourself up with marketable skills outside Law Enforcement. Lt. Randy Sutton graciously came on this episode to discuss the changes in his career which started in 1976 in in Princeton, NJ. Lt. Sutton has been a champion for law enforcement through various interviews with Fox News and other outlets. Lt. Sutton's latest project is The Wounded Blue. This is an organization to help injured officers who we all know get little support from pay to medical expenses when injured on duty. Keep Lt. Sutton's network through Wounded Blue in mind to help someone in your agency if needed. Randy Sutton has his own podcast Blue Lives Radio give it a listen. We had Shelly Hamel on for this episode. Shelly started the Facebook Page What's your 20. The page has been renamed to The Original WY20 after impersonators tried to take the momentum of the page. The page is for commissioned personnel only. Here is a link to the page. Look for more episodes from Shelly in the future. Give us a review and like on I-tunes, share our page with your friends. Listen to Darryl describe how it is to work in a rural setting. Darryl has experience with a large sheriff's office, a large city and now a small county with limited resources where he is regularly working alone. This episode can enlighten a "big city officer" or speak directly to the rural officer. Thank you again to 3B Apparel and Design for sponsoring this episode. Listen as we interview and Officer from Washington State and another form Tennessee about their perspectives of being a female in Law Enforcement. These officers will describe how they are treated and if it's different than their male counterparts. In this episode we will talk with Jason from Tennessee about working in a task force and how a drug task force in that area of the country operates. Jason has 18 years in law enforcement as a SWAT officer, K-9, Patrol officer and task force supervisor. In this episode we will discuss being a motors police officer with Ryan Urlacher a motors officer and fellow podcaster. Ryan has 24 years in law enforcement and has been riding motorcycles since he was 16. Ryan will discuss police motorcycle training, the daily grind, what to expect, training to take and so much more! This Law Enforcement introductory podcast will cover the goals and direction of this show for the future. This show will also talk about how we will have police officer's on future podcasts. We will have future episodes covering mental health, specific assignments, book review, app reviews, product reviews. Issues affecting the law enforcement community. We will also cover court cases and law that will change policing in America.